“Which LTL freight carrier to use?” It’s one of the biggest decisions many manufacturers and importers need to make. What seems like a simple decision can cost companies extra tens of thousands of dollars and for some even millions over the course of a year if not approached correctly. 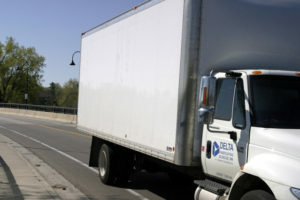 So how do you find an LTL freight carrier? The internet can be a great tool – but it can be very time consuming too. A lot of research goes into evaluating a carrier and online searching requires time and patience. After all, Google is good, but doesn’t read minds. To find a reliable carrier that can provide the services and destinations you need can require some “digging” and discerning as you filter through hundreds of carriers to find the dozen or fewer you actually want to contact. So how can you make finding an LTL freight carrier even easier? If you’re doing the search, assemble the information you need before you begin your search. This includes your contact information and pickup and delivery zips, shipment weight, class and description as well as services you might need. Then, start your online search. You can make it even easier though. Call a freight broker. A freight broker has relationships with LTL freight carriers around the country. Their transportation management system (TMS) can sort through the services and rates to narrow down the search. In seconds you have access to dozens of options for carriers that meet the shipping need and freight rate. So you can go to Google to find the carrier you need, or you can partner with a freight broker. Working with the carrier directly, you’ll need to manage all aspects of your logistics shipment. A freight broker will do that for you including freight quotes to even reporting and claims management. And the freight broker can deliver all these options with a single phone call or completed online freight quote form. Finding an LTL freight carrier can be that easy, really.